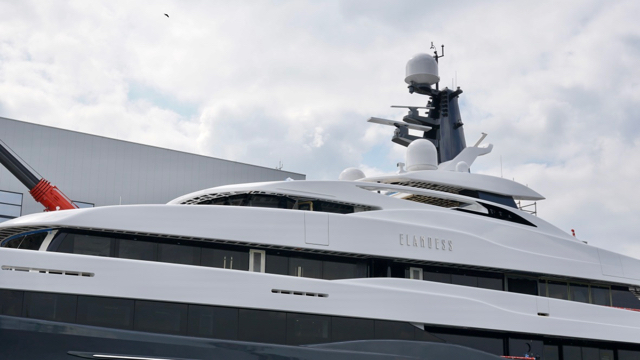 ELANDESS - Project 6502 - drduus Webseite! 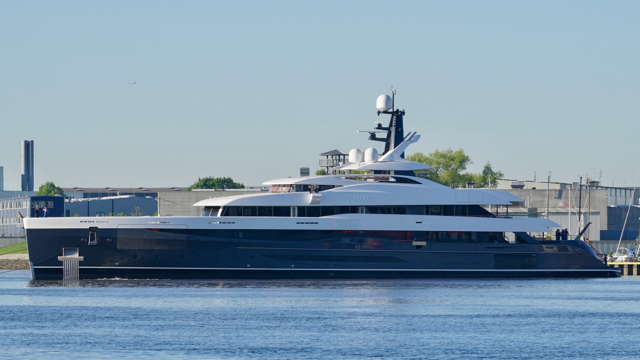 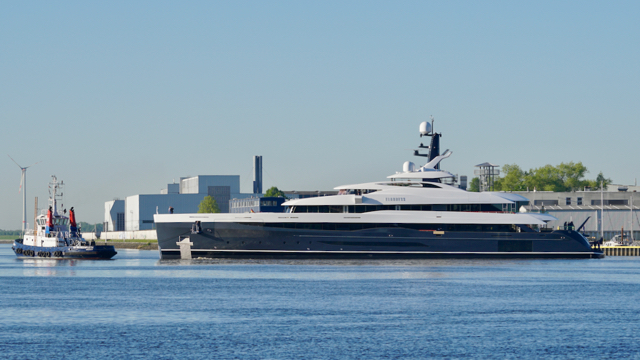 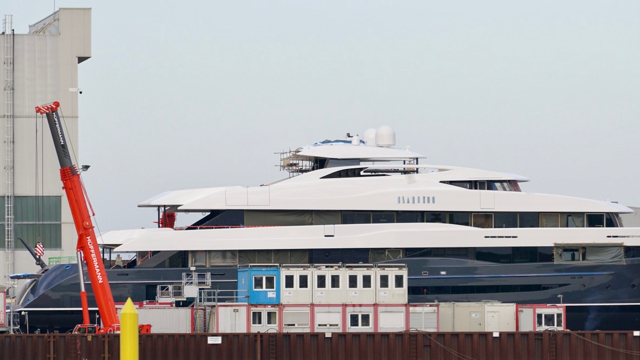 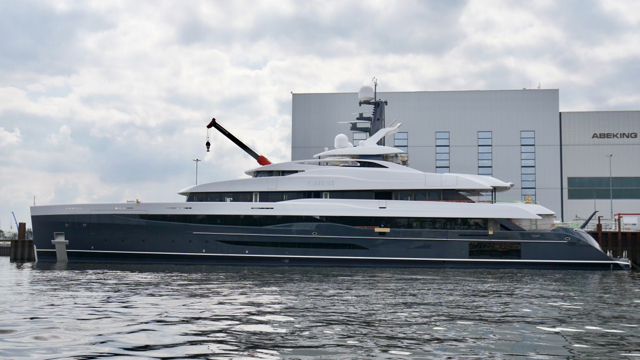 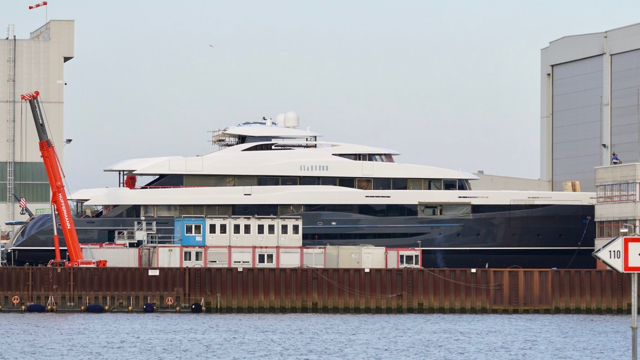 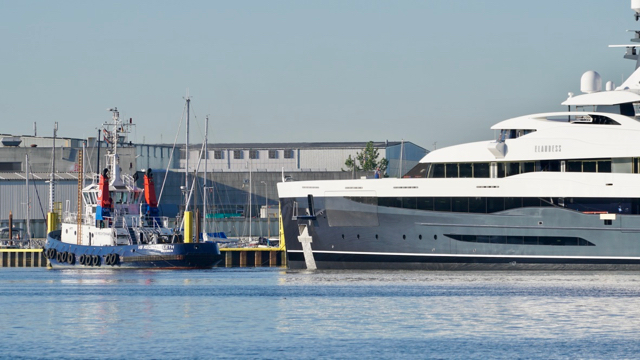 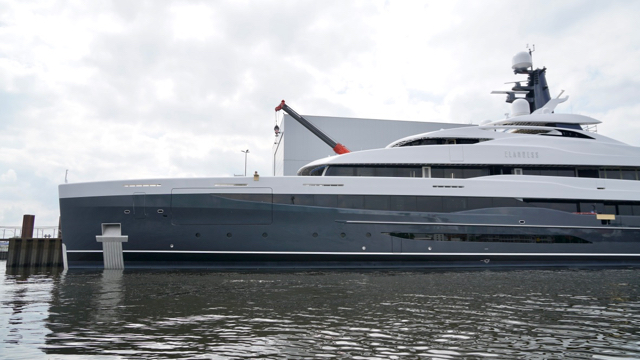 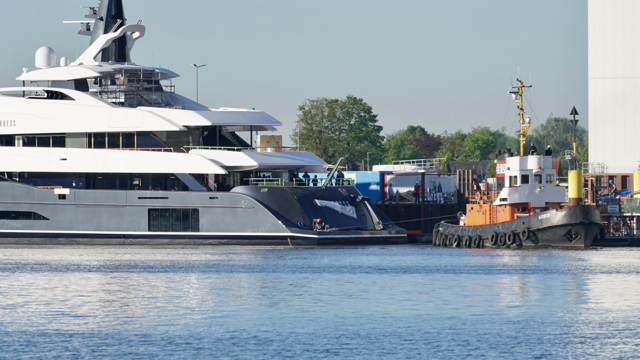 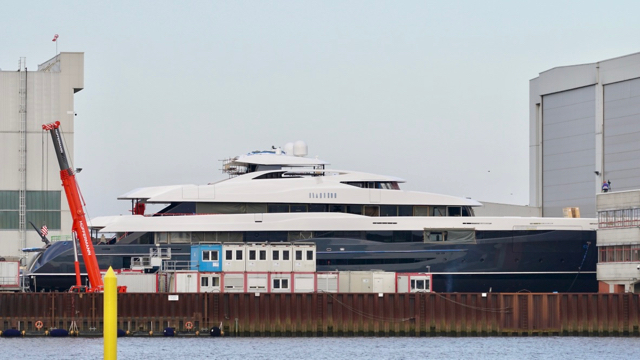 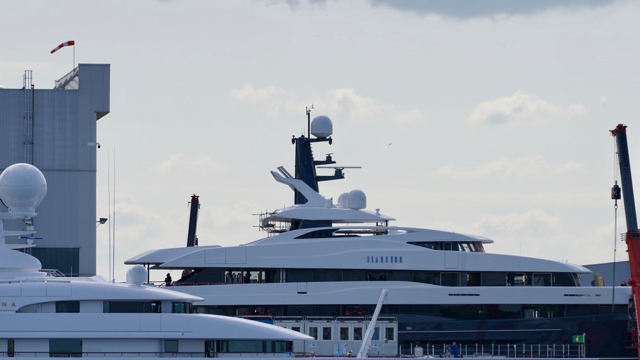 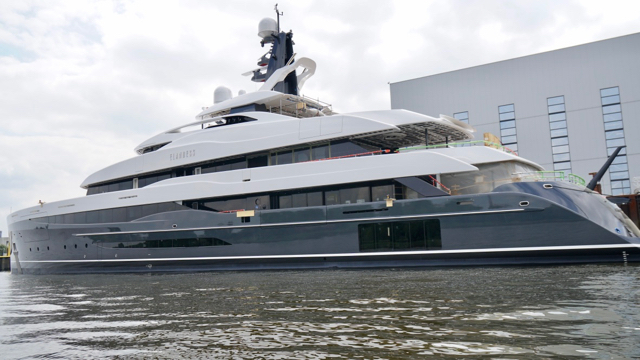 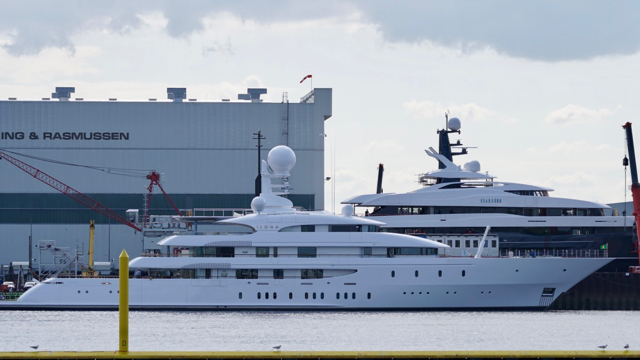 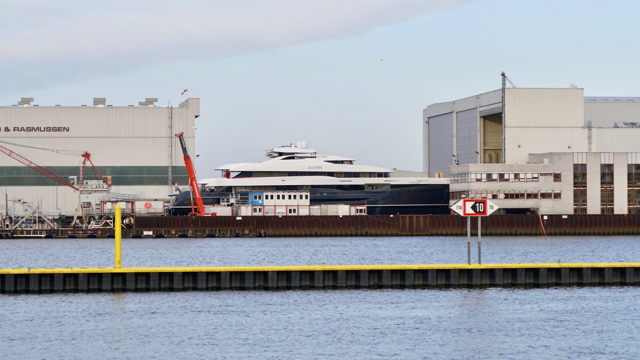 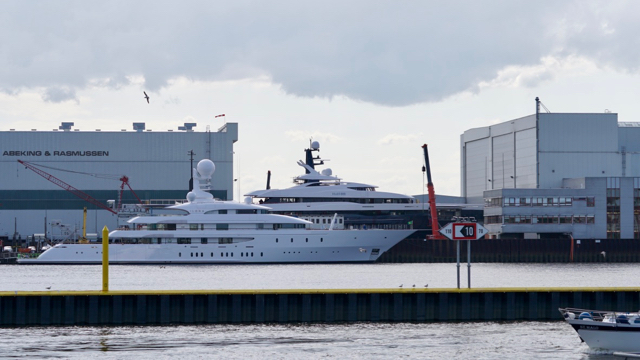 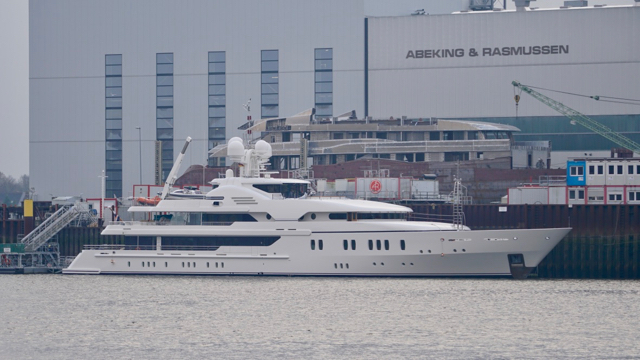 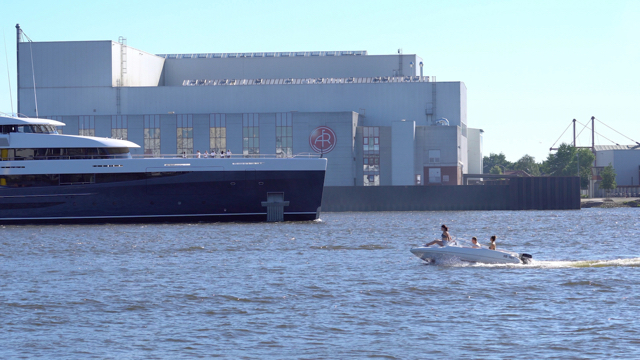 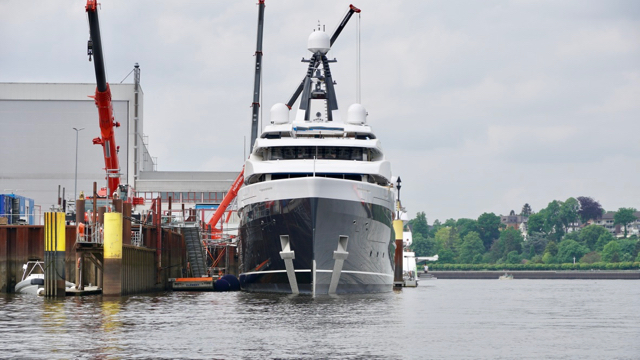 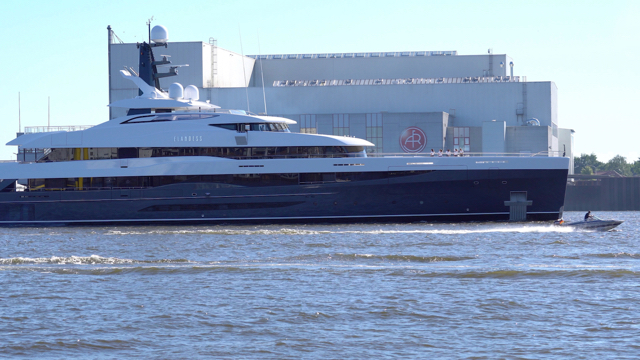 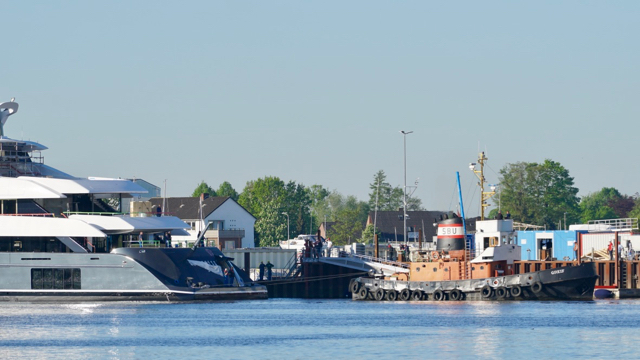 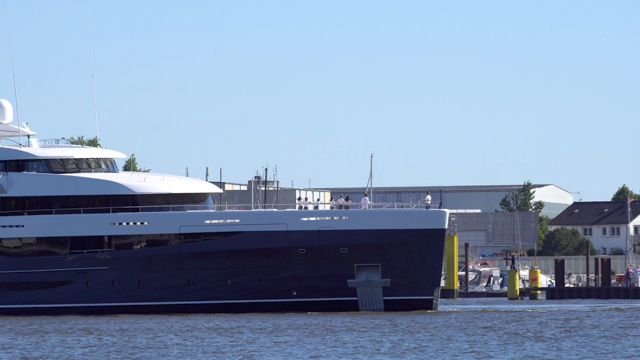 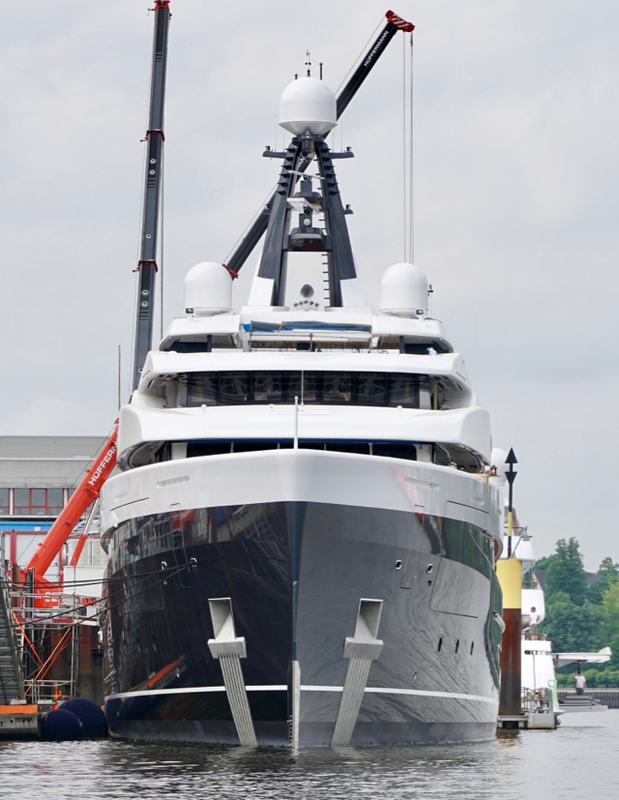 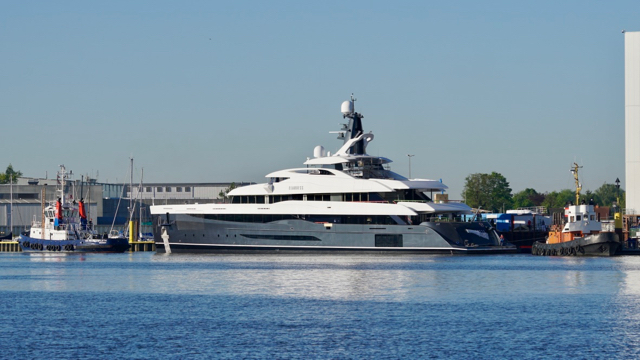 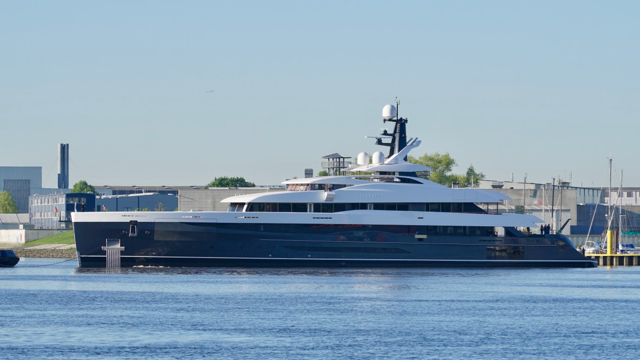 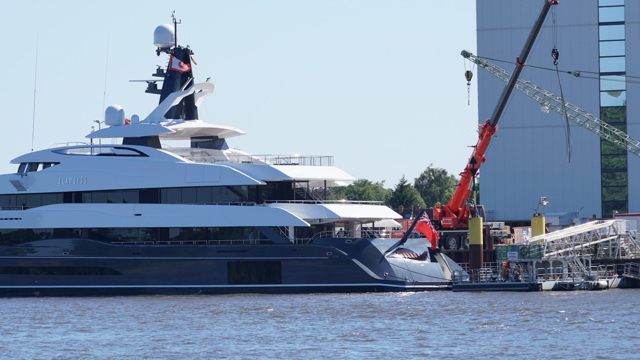 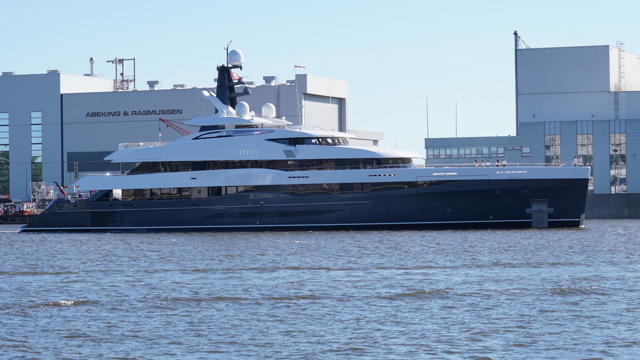 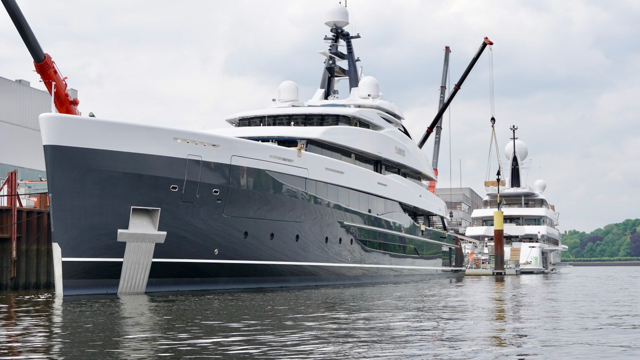 German yard Abeking & Rasmussen has released the first in-build photo of its new 74.5 x 12,8m superyacht which is currently known by hull number 6502. 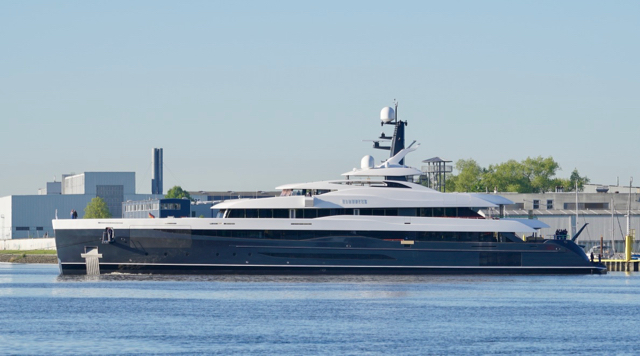 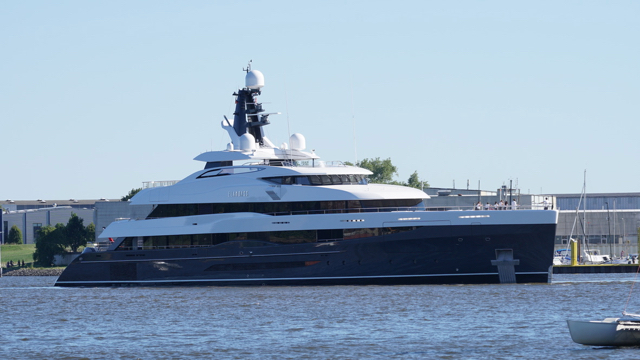 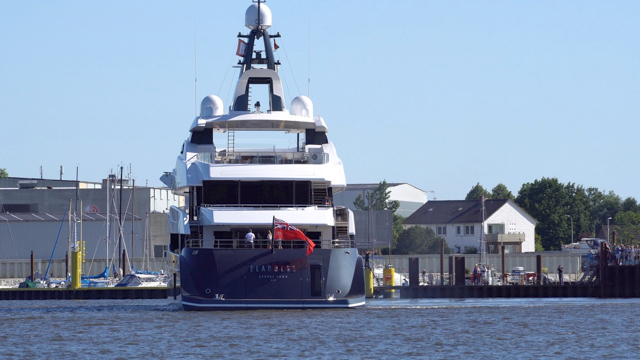 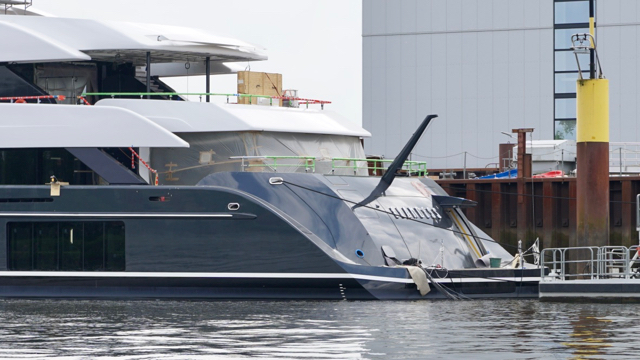 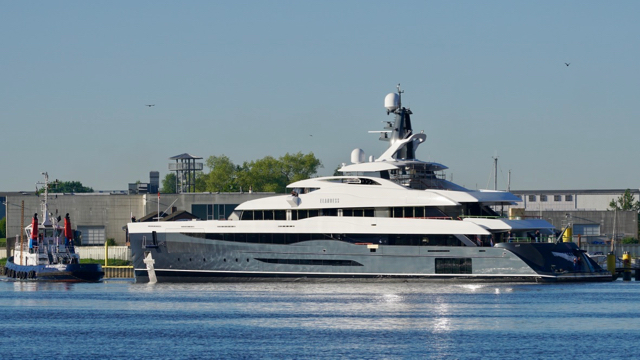 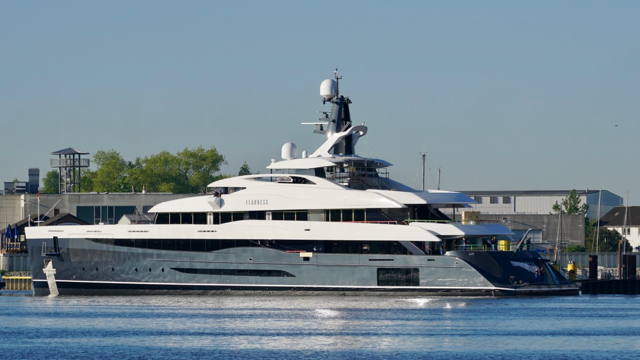 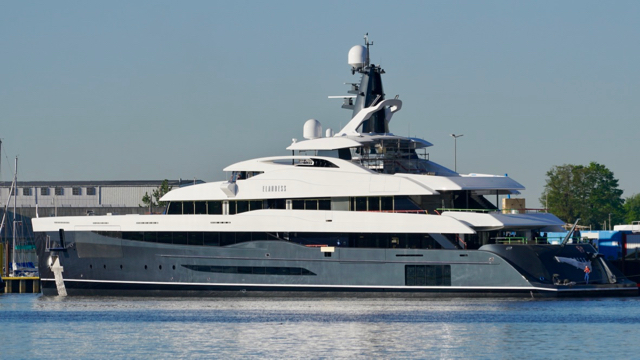 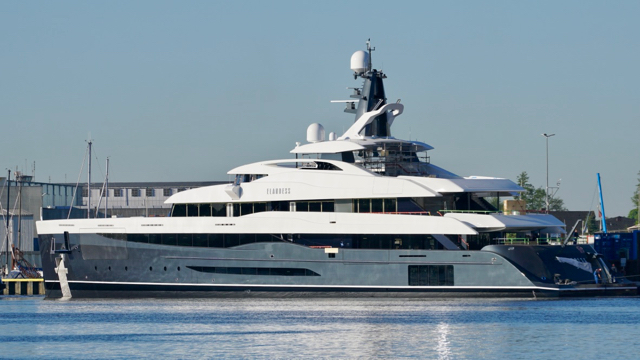 First announced in the 2016 Global Order Book and due for a 2018 completion date, this steel and aluminium yacht was styled inside and out by the London-based Eidsgaard Design studio, while Burgess is providing project management services. 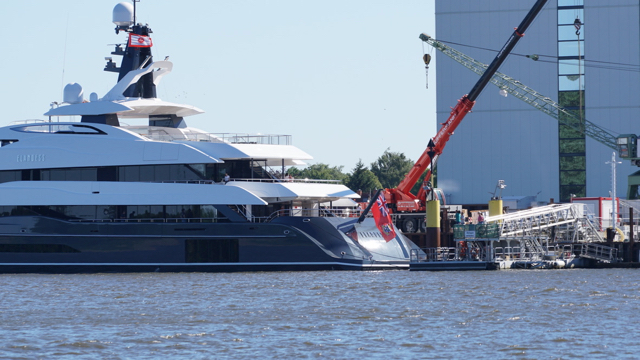 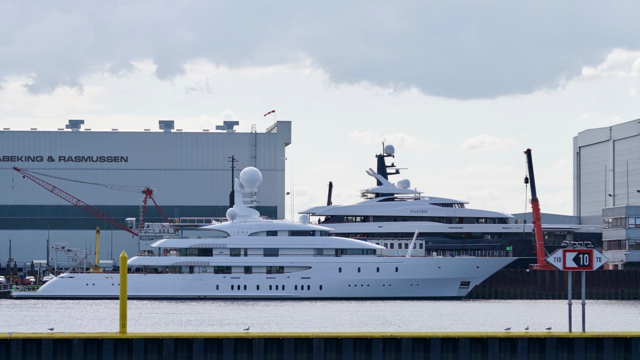 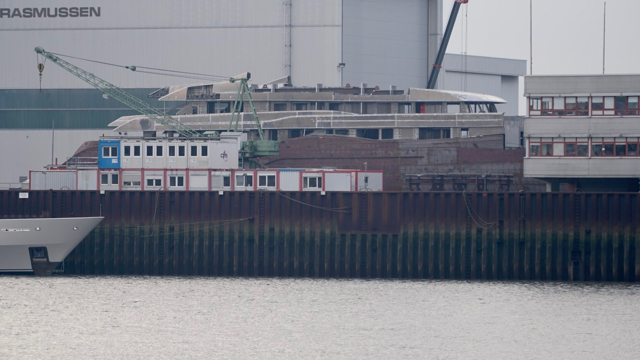 As we can see from this first photo, taken as the yacht moved between build sheds, the hull and superstructure have been joined. 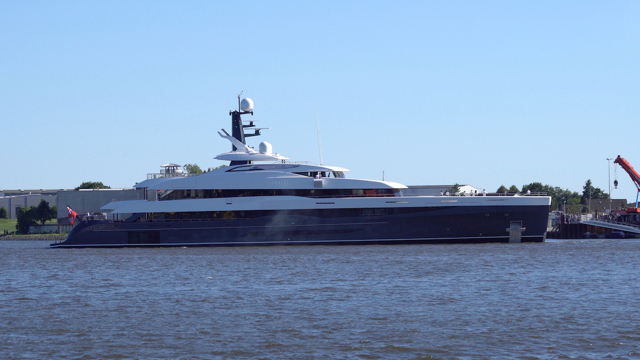 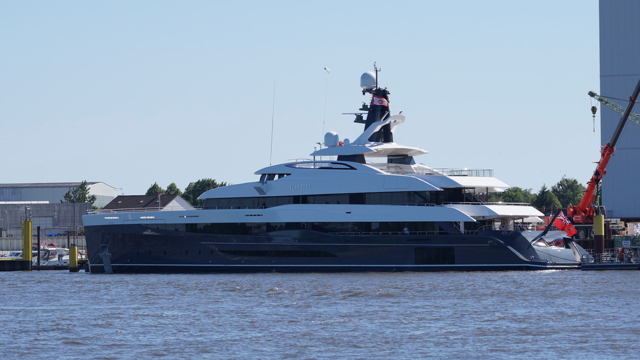 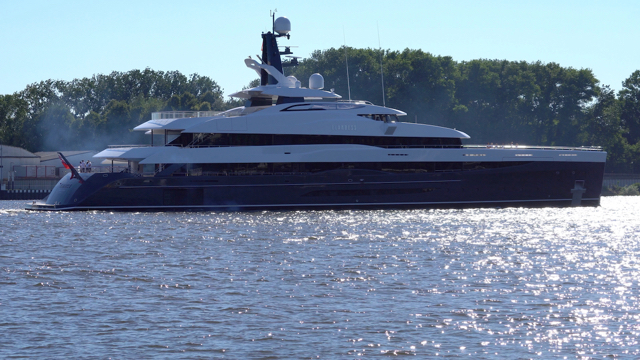 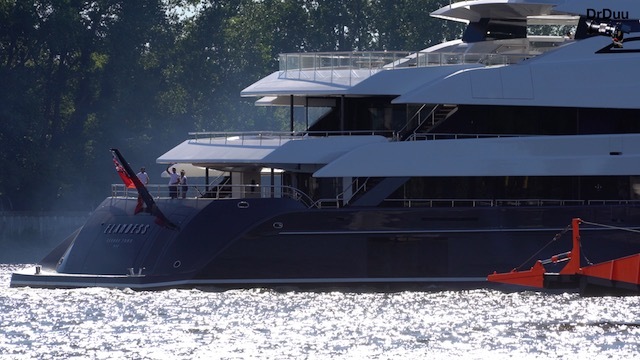 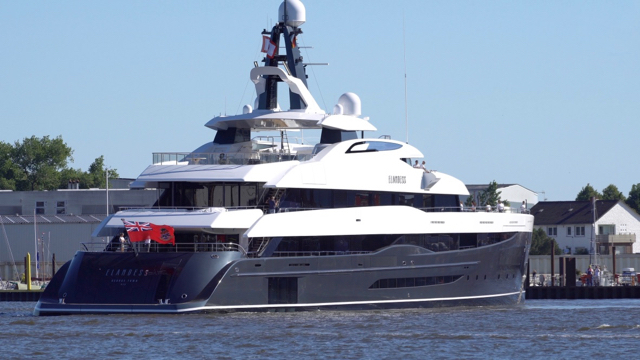 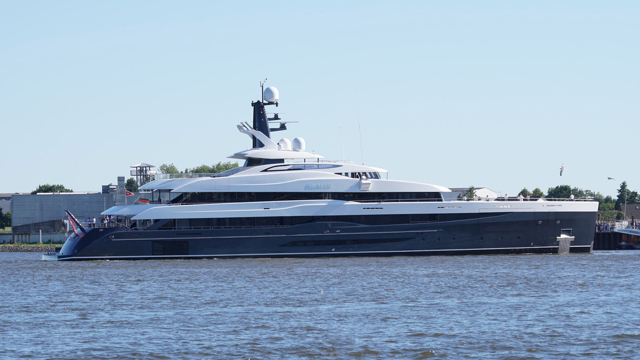 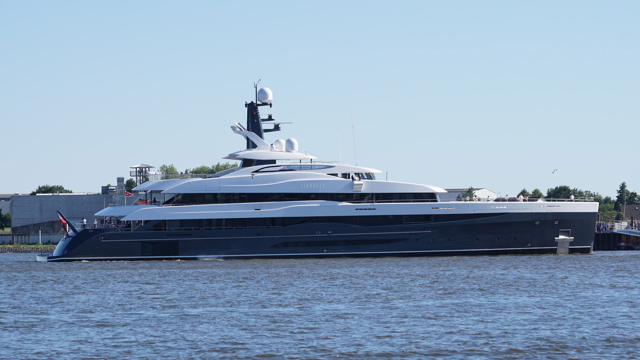 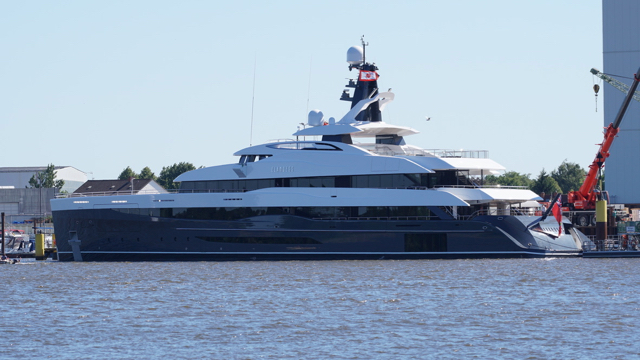 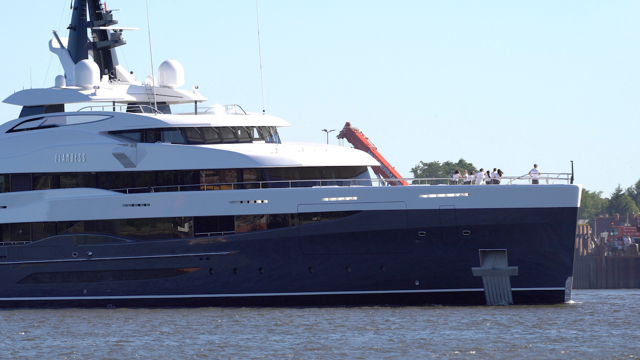 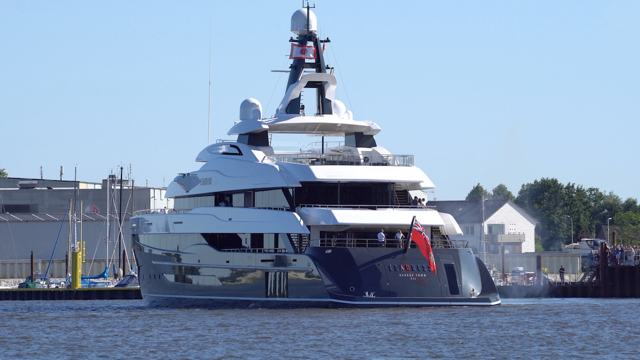 The yacht features six guest cabins on Lower Deck, a Master Suite on Main Deck, and an Observation Lounge on the Upper Deck. 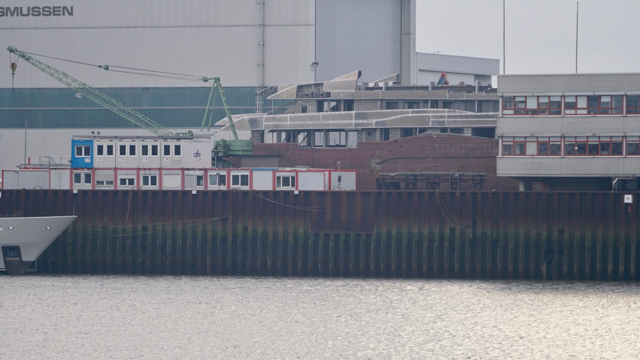 Above the semi-sunk Wheelhouse an 8m long swimming is incorporated on the very large open Sun Deck. 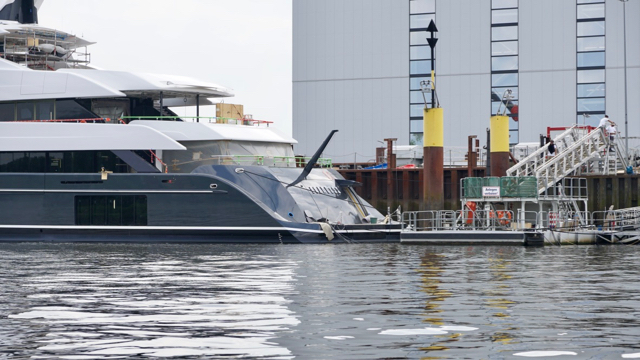 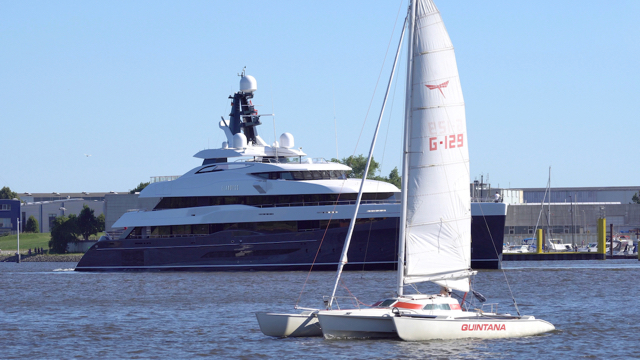 The sleek hull with its fine entry and so-called “atlantic bow" is designed in collaboration betweenAbeking & Rasmussen, Burgess and Eidsgaard. 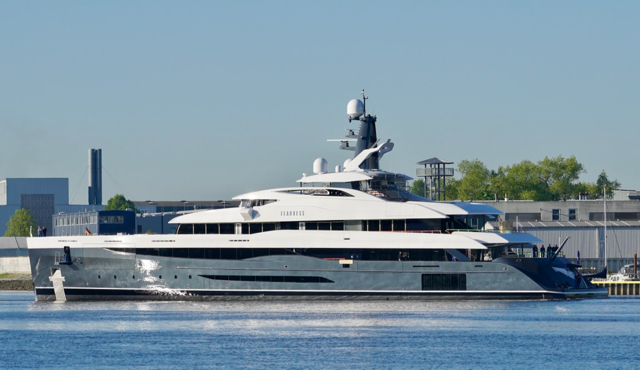 The sleek exterior with full-height glass conceals a contemporary interior, all by Eidsgaard Design. 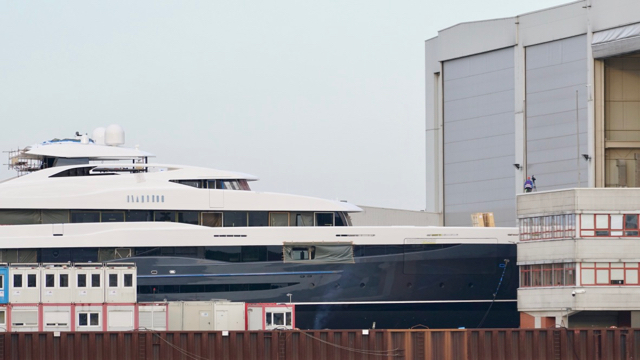 The interior outfitting is by Abeking & Rasmussen and Rodiek and the project is being managed by Burgess.